Carolina Clover, The Monogram Boutique: Back to School!?!?!?! Carolina Clover is a monogram shop featuring monogram jewelry and monogram gift designs on our web site at CarolinaClover.com. We are also a brick and mortar monogram store located in the historic district of Wake Forest, NC. Stop in, we have the perfect gifts that are totally personalized! Seems like summer just started and already the stores are stocked with back to school supplies and school supply lists are being mailed! In North Carolina, the "tax free" weekend for purchasing school supplies is less than a month away! Year round schools in NC started their new school year last Friday! 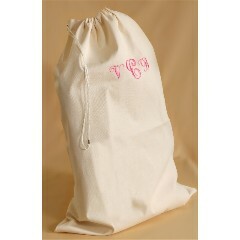 Carolina Clover has added some personalized/monogrammed back to school supplies to the web site. They also make great gifts if you know a student who is getting ready to ship off to college. Carolina Clover is the monogram shop to buy your Monogram Necklace. Find more designs at Carolinaclover.com! Featured here is a gold monogram necklace in script. Luxurious gifts for the home! Find a gorgeous selection of monogram tote bags at Carolina Clover. TRAVEL GUIDE: 10 Fun Things To Do in Charlotte, NC. Art on Fire at Artfire! Rhinestone Belts are IN...BLING, BLING! Carolina Clover's First Retail Space!